I love supporting women in the arts particularly women in music as I’ve been a music critic for 20 years. There’s still not enough parity. It’s still unusual to see all-female or female-fronted bands in alternative music. I’ll talk about it even if some female artists won’t discuss women in music except for Garbage’s Shirley Manson and Lauren Mayberry of Chvrches. I *will* continue to spotlight female artists. I’m a feminist music critic and this I’ve always done.I mostly listen to female artists and female-fronted bands although I adore Death Cab for Cutie and Coldplay and Jack White and all my beloved 90s britpop bands. So here’s Atlanta group Sydney Eloise and the Palms. The album FACES features eclectic arrangements to complement Sydney’s bluesy retro, sometimes wistful, sometimes bold vocals. There’s a retro vibe but it’s all newly packaged. Sydney worked to produce and tweak the songs with co-producers Damon Moon and Chandler Galloway. I instantly loved this album and it’s one to play in its entirety on repeat. Amy Steele: You started playing and writing music at 16. How did you become interested in music? Sydney Eloise: My parents were musicians and had a band together into my childhood, so there was always a vast amount of music playing or being played in our house at all times. My dad had a little home studio and our place tended to be the spot for front porch jams on the weekends. I was surrounded by artist and musicians, it was a big part of my life. It wasn’t until 12 that I got into guitar and quickly after mastering a few chords I began writing songs. It was thrilling and made me feel alive. I’ve not kicked the habit since. Amy Steele: Such distinctive vocals. How did you know you could sing? what have you done to hone your vocal skills? Sydney Eloise: The guitar became a great tool for my songwriting, and my writing was of most importance. I just wanted to tell stories and never thought about how I sounded. To be honest I felt my voice was strange and had to grow into it. I am confident in my sound now and I think that’s the most important. I never saw myself as a singer, but a songwriter. Amy Steele: It’s you and a band now but really neither solo or full on band of you write all the music right? What made you go that route? 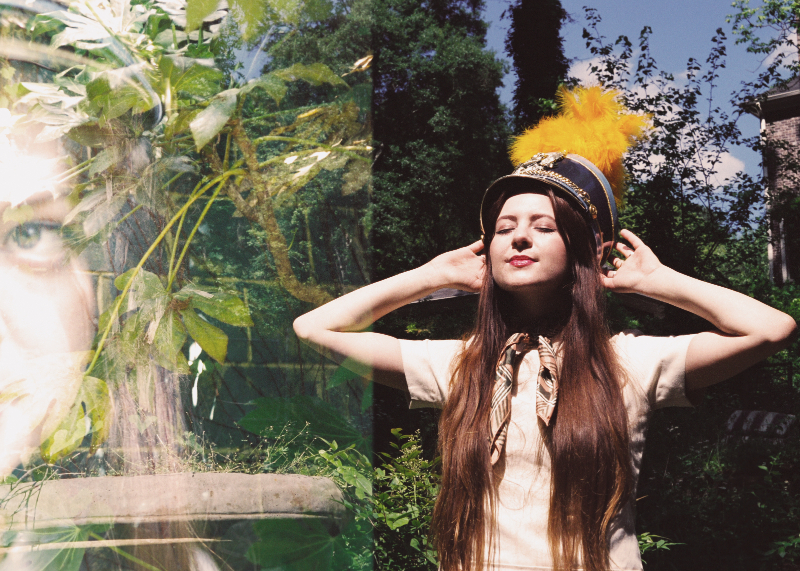 Sydney Eloise: I had been writing and performing solo for years and felt a bit bored and stuck. I needed a challenge, and the challenge that came trying to keep in mind a whole band arrangement really expanded my songwriting. I would bring these skeletons of songs to the studio and play them for Damon and Chandler, and we would just experiment and tweak them. Maybe even change the whole vibe. Perspectives are so important, and I believe collaborations make us better people and artists. Learning to let go and how to compromise. Amy Steele: Have you discovered any particular challenges as a female musician? Sydney Eloise: Finding a clean bathroom! Amy Steele: Can you describe your songwriting process? Sydney Eloise: I prefer for the song to hit me like a ton of bricks. All at once and with passion. I don’t sit down and “try” and write a song- I need to feel connected to an experience to write. Usually I have a melody in my head and then pick up the guitar or sit down at the piano, but occasionally I will just be strumming and things just come together. 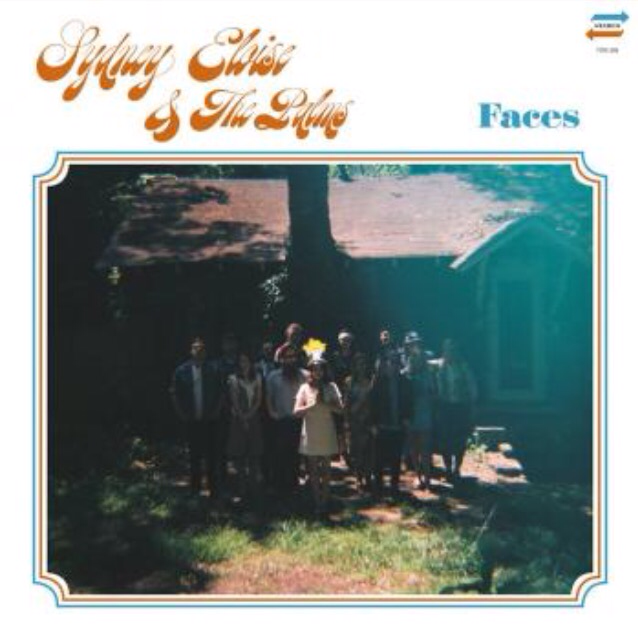 Amy Steele: Why did you name your new album Faces? Sydney Eloise: Faces– like all the faces we can put on in our lives, like the many perspectives we can have over one single experience. This whole record is about my growth becoming a woman and looking back and maybe changing my mind about certain decisions. Sydney Eloise: This song was a letter to myself. At the time I had been in an awful writers rut and was feeling down about it. For me, “Always Sailing” was me calling myself out. I tend to float from project to project and ideas to ideas, and at times spread myself so thin that no product is actually produced. This song is be finding my balance and accepting where I am in the moment. I am a wanderer, no way around it. As far as the production style and arrangements, we really went to town on this one. It was the first song recorded for Faces. It set the tone for the level of production for the rest of the record. We said yes to every idea! Sydney Eloise: We had fun in the studio on this one. We experimented with lots of alt percussion A La “Cecilia” Simon & Garfunkle. It’s a cheeky song, so we wanted to the production to match the playfulness of the song. We slapped our knees, stomped on wood, clapped our hand, twist and shouted. The story in this song is based on a new relationship- and the excitement, the jealousy, the fantasy, the future planning, the uncertainty, oh and the honeymoon fun. Sydney Eloise: This song is not just a trendy hashtag. It’s me looking back at a past relationship and standing up for my self. Yes, maybe a little bitterness. Really, I just wanted this one song, one moment to tell my side of the story and close the book. Weird fact, an unknown ectro-pop song on Spotify inspired the beginning writings of Sorry, Not Sorry. Sydney Eloise: We worked on this one little by little and it never seemed complete. We knew it was lacking something and needed something special. That’s when the trumpet came it, and all was complete. Sydney Eloise possesses retro yet modern vocals that both move and soothe. This song conveys resilience and strength. I’ve been listening to the entire album for a bit and it’s so comforting and dynamic. 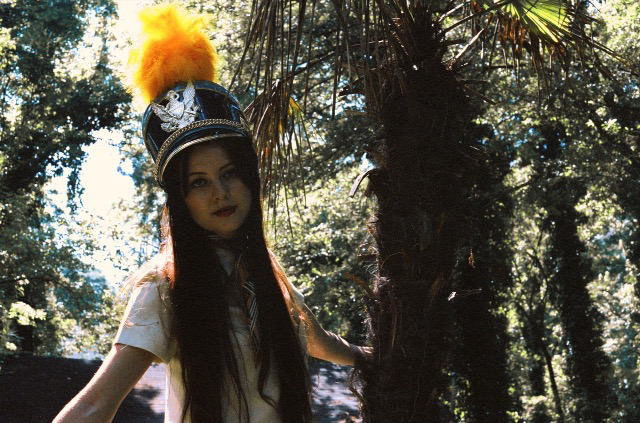 If you like Neko Case, First Aid Kit and She and Him you’ll definitely appreciate Sydney Eloise and the Palms. The Atlanta musician gathered local musicians to fill out the band, including Paul Stevens (Grand Vapids), Jenna Shea Mobley (Book Club) and Matt Jarrard (Royal Thunder, Spirits and the Melchizedek Children). starts with an intense, infectious beat and lots of cool synth grooves. Vocals kick in giving the song a very British shoegaze vibe. Overall fantastic track with lots going on. 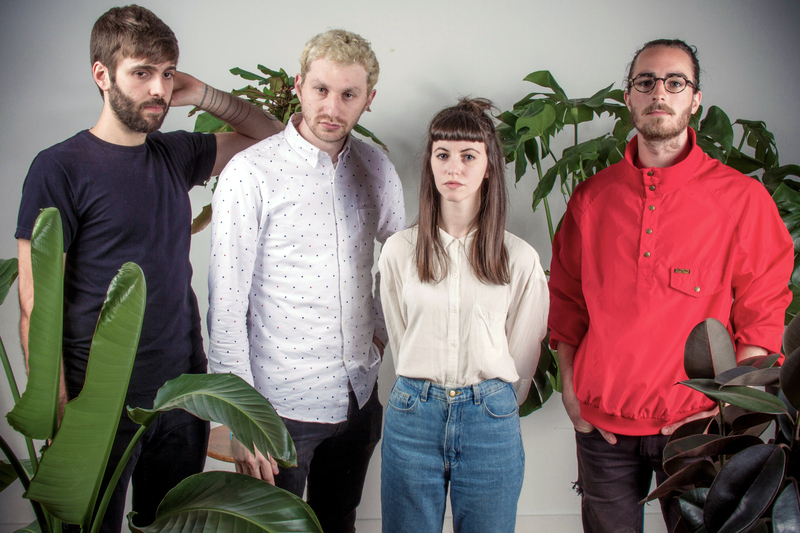 The Brooklyn quartet plays mellow synth-pop similar to Stereolab and blends synth grooves, noise pop, krautrock, dreamy indie rock, and shoegaze.